I’ve been there too. I spent many years living with IBS and I know how it can impact all parts of your life from career to relationships. 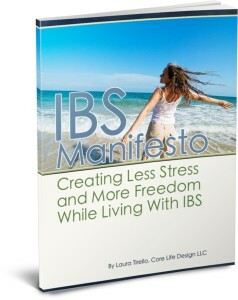 I also know how the stress around IBS symptoms can rule your life. It’s understandable… it’s hard to try new things when you are fearful about having a flare-up. But you don’t have to limit your life, there is something you can do about it. In the free e-book I cover how to recognize your thoughts, become aware of your body’s reaction, and how to open yourself up to relaxation. By using the tools in the e-book you allow your mind and body to work together to improve your quality of life. 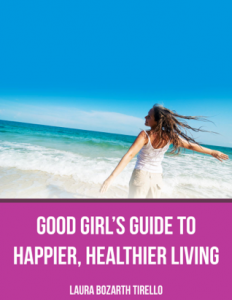 This entry was posted in Good Girls Health and tagged colitis, Crohn's disease, IBS relief, irritable bowel syndrome, mind body connection, stress reduction. Bookmark the permalink.